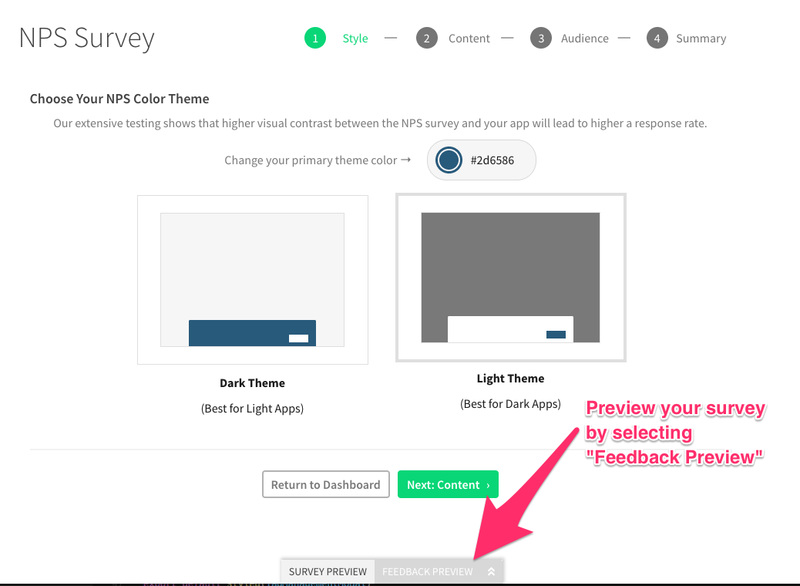 In order to create a fluid in-app experience for your users, we recommend customizing your NPS survey so that it matches your website's colors and brands. 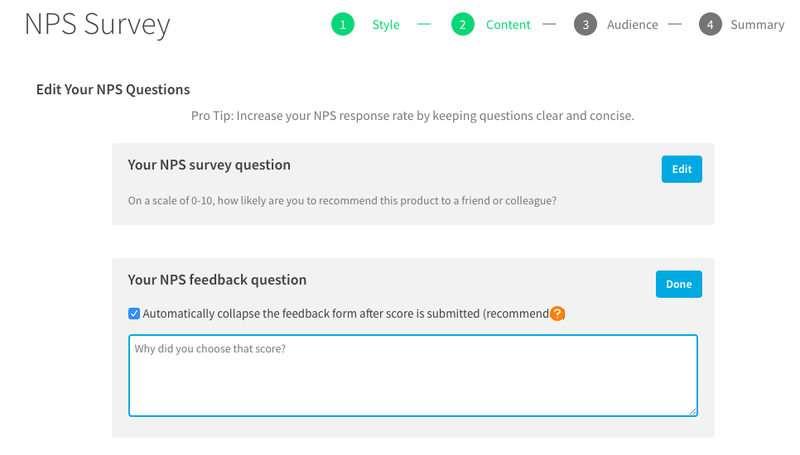 Visit your NPS dashboard at https://my.appcues.com/nps. 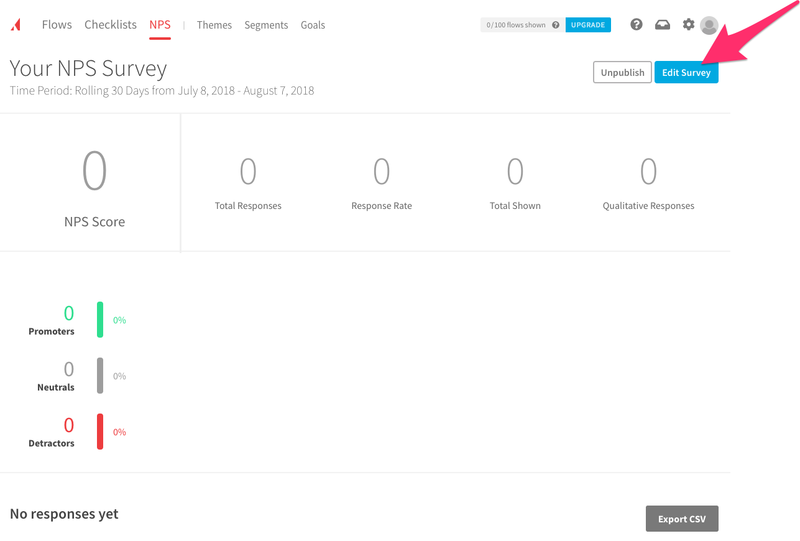 Click on the "Edit Survey" button in the top right hand corner of the dashboard. This will bring you to a series of screens that will allow you to customize the look and feel of your survey. 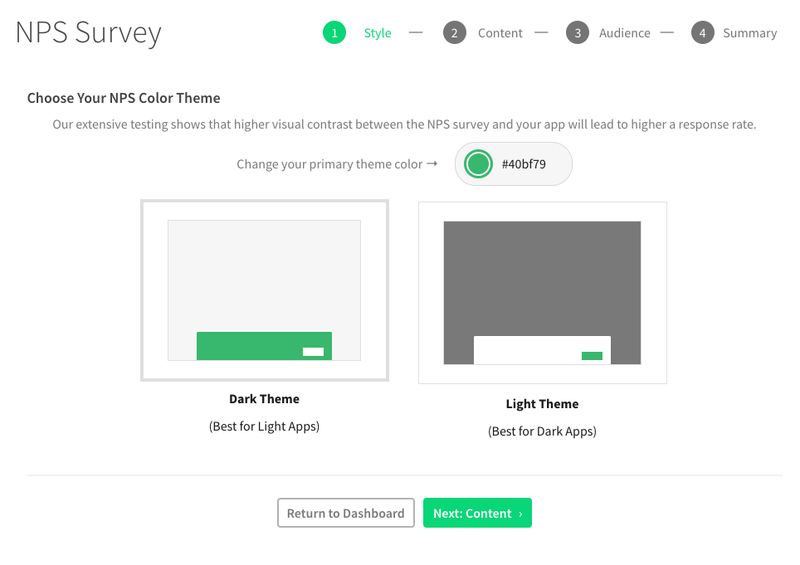 The first screen allows you to choose your NPS color theme. You can select a primary color; we recommend choosing a color to aligns with your web site's theme and brand. You can also choose whether you want a Dark or Light theme. If your website has a light background, we recommend selecting the "Dark Theme" option. If your website has a dark background, you should select the "Light Theme" option. If you'd like to customize the question that is asked, you can continue to the second screen called "Content". We only recommend making minor changes such as changing "this product" to your company brand name. 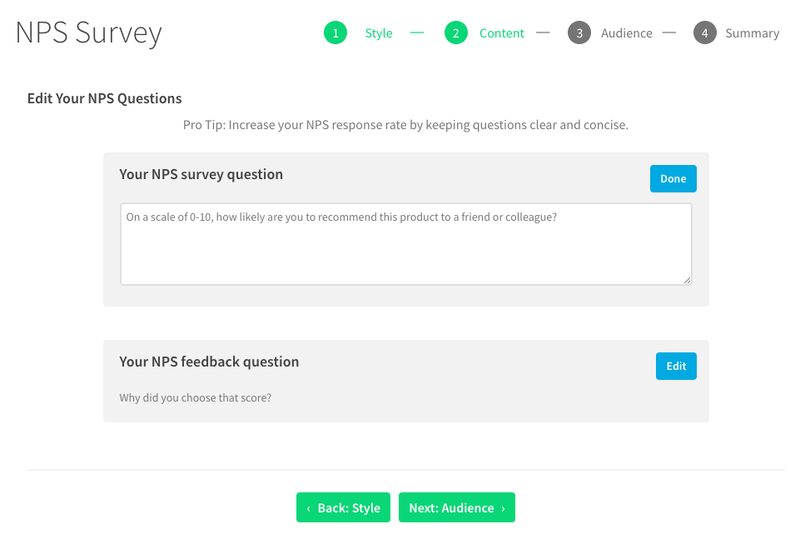 If you want to customize the follow up qualitative question, select the "Edit" button where it says "Your NPS feedback question". You can also select whether you want the question to appear immediately after a user selects a score, rather than automatically hiding. 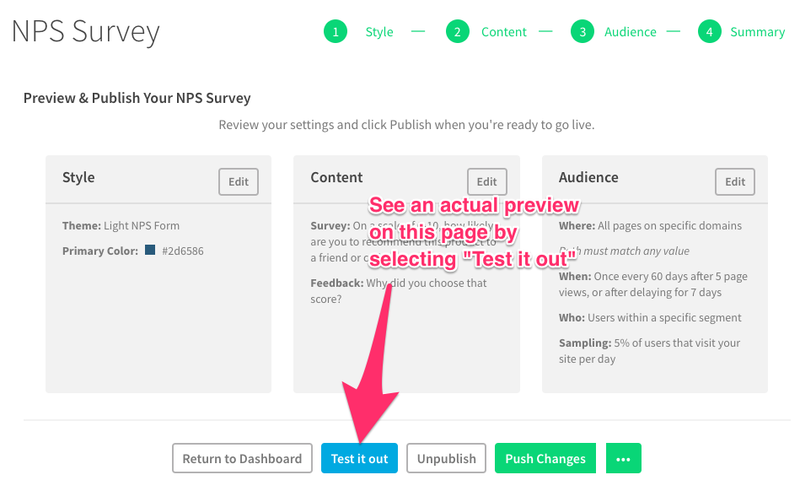 When you advance to the final "Summary" screen after you select your audience targeting, you'll have an option to "Test it out". This will display a real preview on the page. You cannot currently make other styling or content changes such as adjusting the size of the survey or the text of the buttons. If you have other styling use cases that you can't accomplish or are trying to add localization, we'd love to hear from you - send us your use case here.